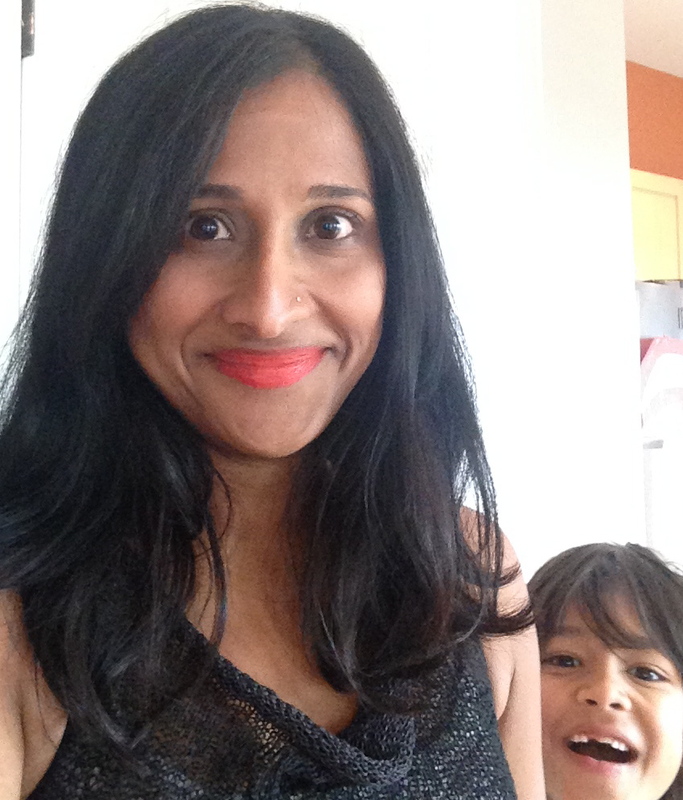 So let’s do some catchup on relatively recent projects, shall we? 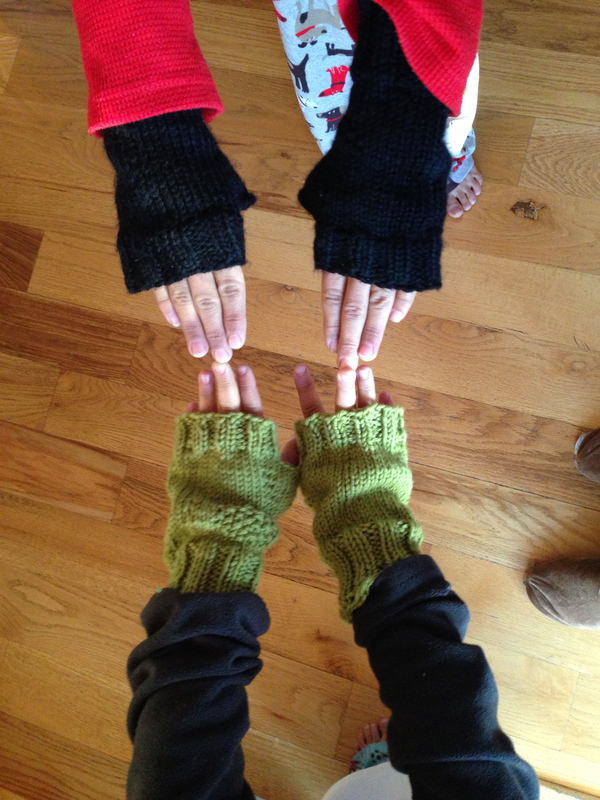 There’s these fingerless gloves that I made for the kids, waaay too big really but they don’t seem to care. The Boy has already lost one of them anyway. What is it about gloves in our house? We can NOT hold onto an actual pair through a whole season. How do people make this magic happen? 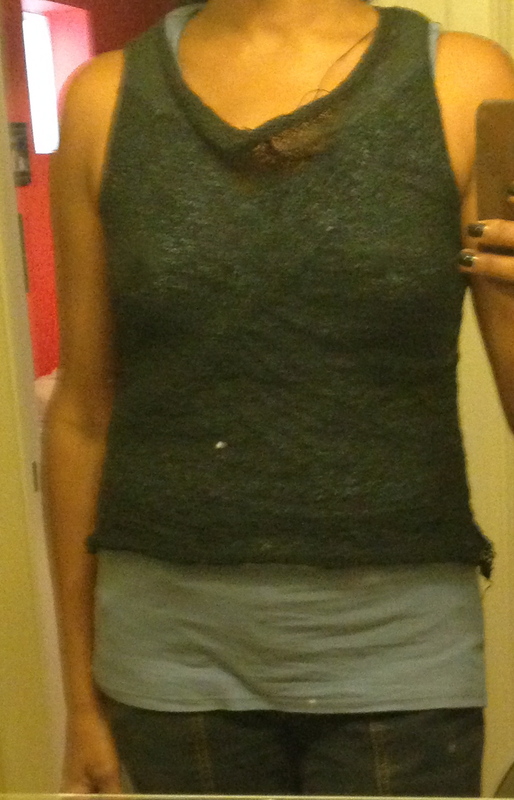 Next up: the Gretel tank top, knit with my favorite yarn obsession, Habu. 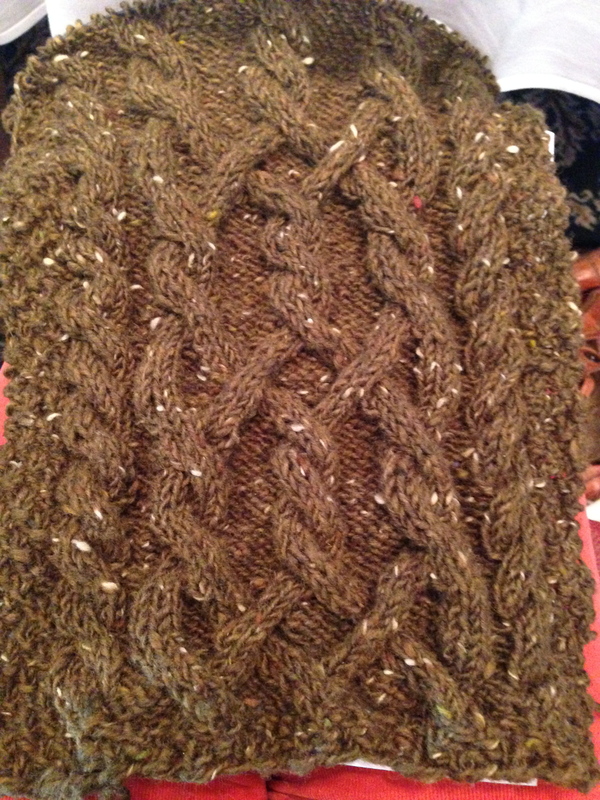 This is knit with a cotton tape yarn, which feels like paper when you’re knitting with it. According to the pattern, you only need two tiny little balls for a whole tank top! See how well that worked out? Or…not. I used up all 2 balls of yarn that the pattern told me I would need and had nowhere near enough yarn. Unfortunately, I couldn’t get the one I wanted anywhere but New York as Fancy Tiger wasn’t carrying this yarn at the time. So I waited for my summer trip, went to Habu, and got another ball of black yarn. You can see how well it matches by looking at the difference in colors in the cowl and the bottom, where I picked up stitches and knit down to make it long enough. Actually…that looks pretty cool. 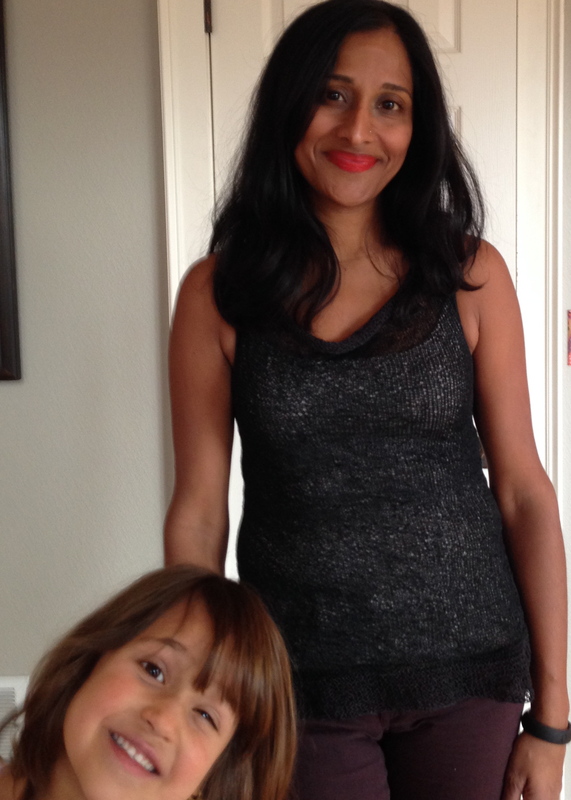 When it was all done I enlisted my elves to help me take a picture, and they insisted on photobombing me at every step. 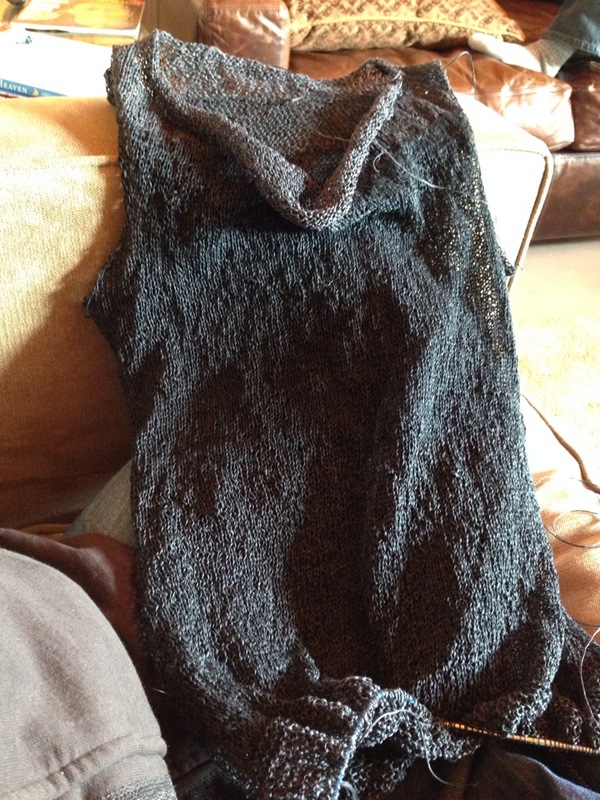 It was fortuitous that this lacy, lightweight tank was finished just in time for winter! 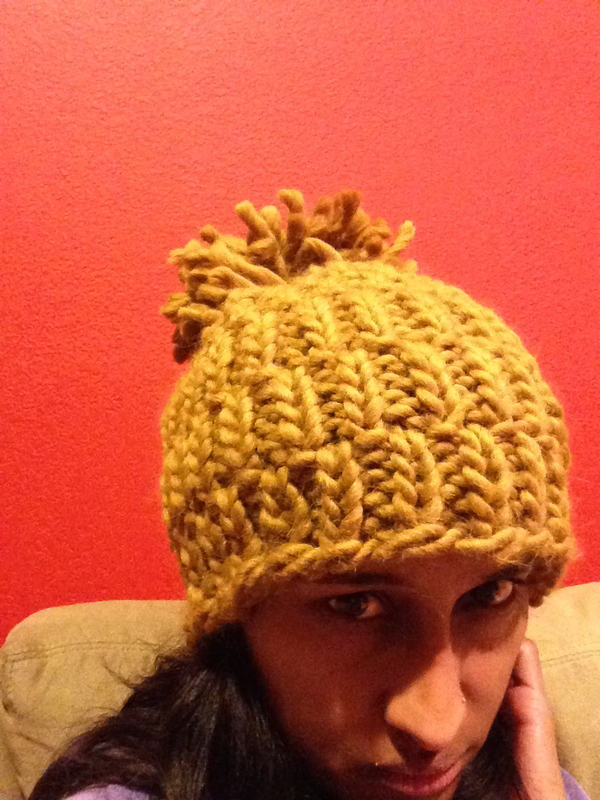 Since I couldn’t wear the tank top during that crazy cold snap we had in December, and I needed a warm hat, I made one. Yarn: Blue Sky Alpaca Bulky, 1 ish skein. Don’t even think about stealing this hat, people. This one is actually a bit too big around the brim so I threaded elastic cord through the bottom and now it stays on nicely. And last is the current project I’m working on, another Jared Flood design. I started this sometime over the summer and then actually looked at my knitting. See how the first pattern section looks nothing like the second? Yeah, that’s a complete screw up where I missed some cables and then did some others backwards. Since it’s going to be a scarf for Eric, I asked him what he thought, and he promptly replied, “Oh yeah that’s all messed up. It would bug me.” Not cool, knitting recipient, not cool. 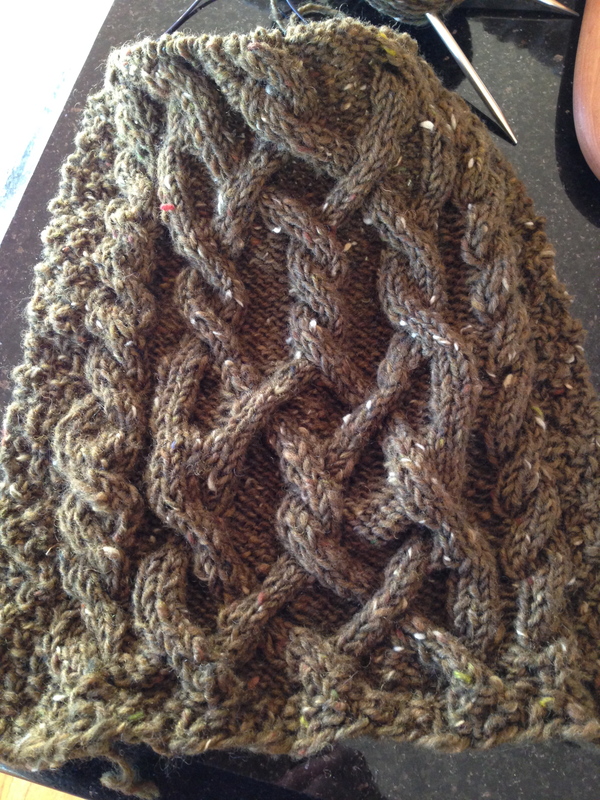 However, he was right and the whole thing was ripped out and reknit correctly. Color is much truer in this picture. I’m about 2/3 of the way done with it by now, and I love this scarf. The tweedy yarn works so well with the big cables, and it’s going to be big and cozy and warm and lovely when it’s all done. After the scarf I have a sweater to finish up that I’ve lost some interest in, so we’ll see if I pick that back up again or start something new. Part of me wants to make a big crazy throw out of all the yarn scraps I have, something to snuggle under in our basement when it gets to be cold, but that might make me feel like a 70s afghan knitter, chevron pattern and all. Am I that person? Maybe so.